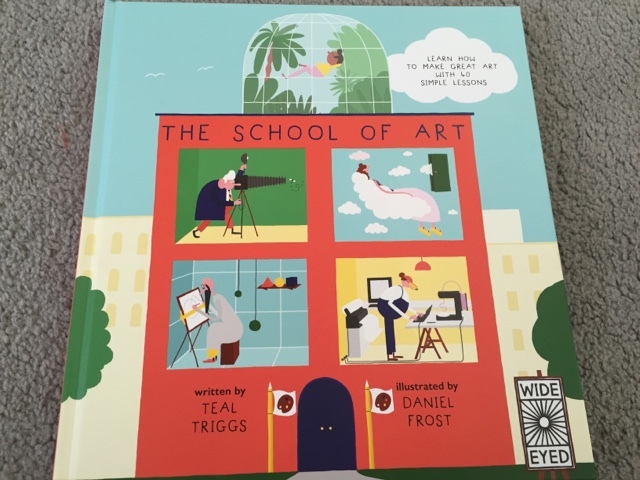 Learn how to make great art with 40 simple lessons… The School of Art which is written by Teal Triggs an illustrated by Daniel Frost is a fun book where you are given the chance to make learn just how to make inspiring art of your own. 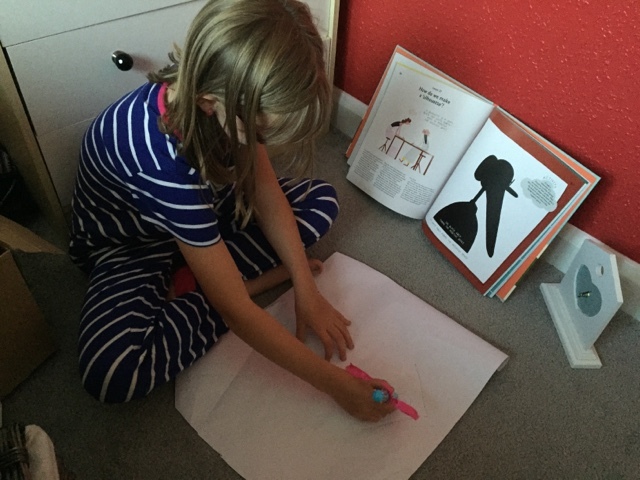 I've always liked art, I took it as a GCSE when at secondary school and my kids seem to be following suit, never without pencil and paper in front of them. I've lost count of the amount of boxes full of creations I have accumulated from them all over the years! 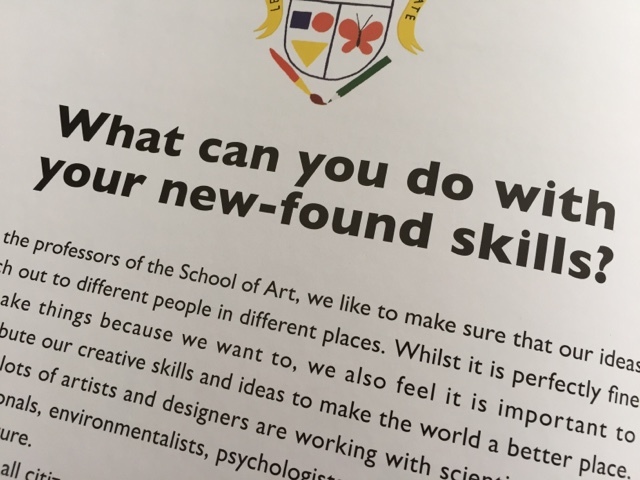 The School of Art is a 93 page book filled with a collection of informative lessons, with basic and more indepth skills to be found, it will prove to be fun for not only kids but adults too. I'd describe it as an artistic story, with each chapter taking you on a new journey. Inside you will find 40 demonstrations. Each one packed full of information whilst guiding you through with great activities to put your new found knowledge to the test. 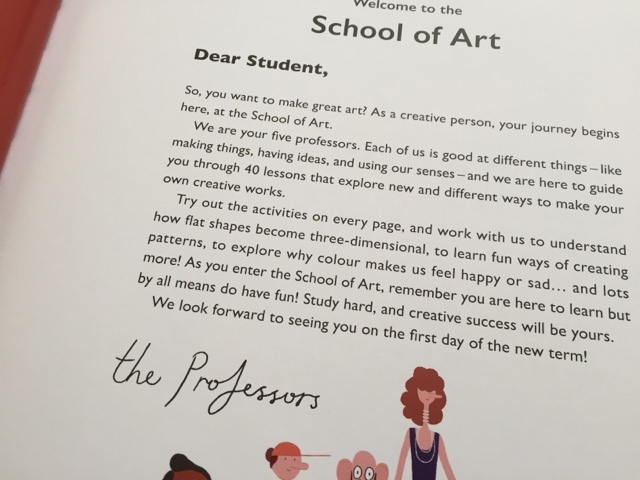 The 40 lessons are spread out over three terms, each one asking many questions like how do flat shapes become 3-D, what is rhythm in art and can colour affect how you are feeling? Creative, engaging and charming. 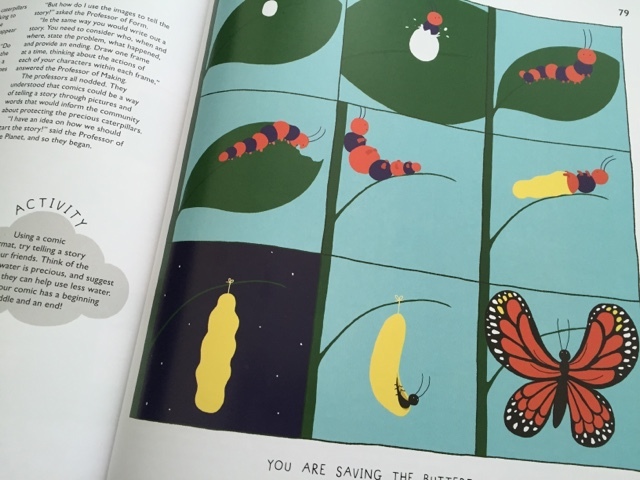 The combined text and illustrations manage to create an artistic world of adventure. 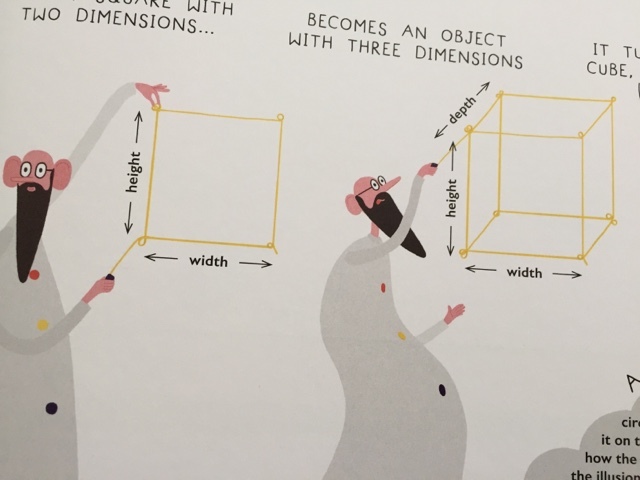 Your mind begins to question what you see, simple signs, illustrations in books, just what was the thought process behind them. 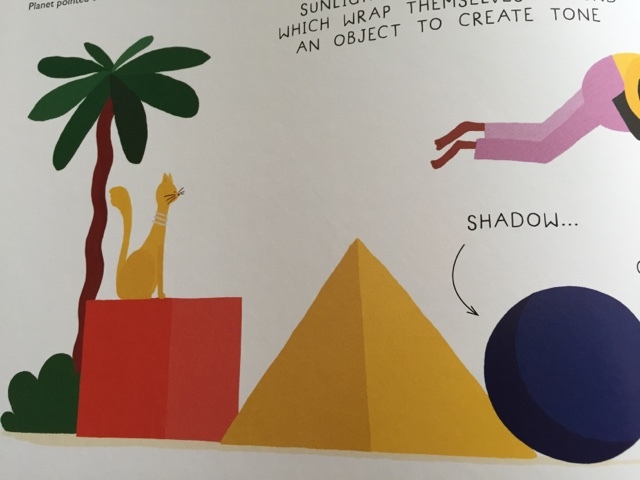 For children there are suggestions of artists to look up both in books and on the internet, people they won't have necessarily have heard of, like And Warhol and Bridget Riley. Each with their own unique abilities to show. 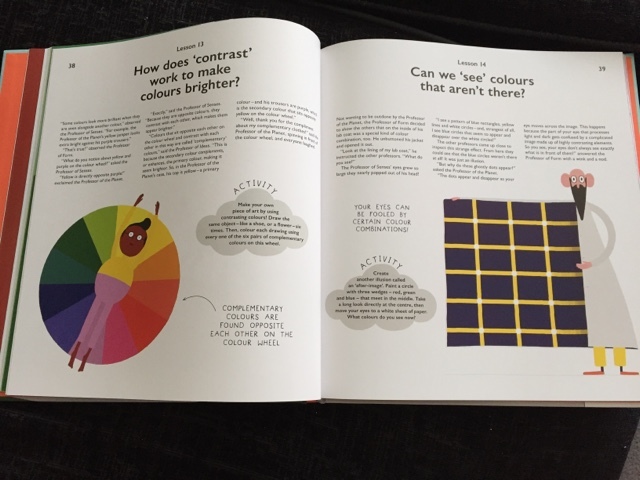 There are so many skills to be learnt and developed and the book even gives you ideas on what you are able to do with all of what you learnt, whether it be something for yourself or a task to help others, you begin to see just how much art is used in day to day life and the ways it can make a difference to the way you see things. 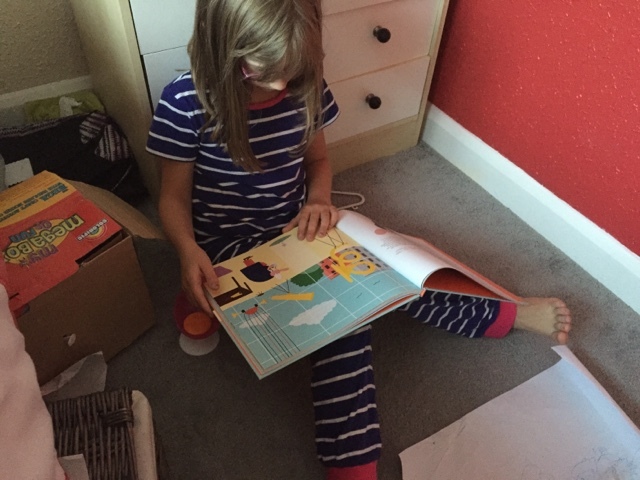 A learning experience that remains fun and gets the imagination flowing. Lessons which can be done independently of collectively as a group. This is a great book to have to hand on a rainy day. Disclaimer : We were sent this book FOC for reviewing purposes however all thoughts and opinions are my own.